Castleford and Catalan Dragons shared the points in a highly-charged draw at Wheldon Road. Thomas Bosc's drop goal looked to have won it for Catalans but Gareth O'Brien repeated the feat for Cas to ensure honours even in the final moments. Catalans led at half-time with Vincent Duport and Louis Anderson tries, Jordan Thompson replying for Tigers. Michael Shenton and Kirk Dixon put Castleford ahead before Damien Blanch pulled the visitors level. The result was a huge boost for Ian Millward's side, who showed immense character to come from behind to give the Dragons a real scare. Catalans have built a reputation for flowing football over the last few seasons of Super League, but were forced to work for their points by a dogged home side. They were almost stunned against the run of play when Jordan Tansey chased down Gareth O'Brien's grubber but was unable to get the necessary grounding, while Henderson knocked on over the line to cough up a scoring chance, before Vincent Duport finally cracked the Tigers line on the half-hour. After soaking up enormous pressure, Cas drew level when Thompson bashed through a string of tackles to romp over after picking up on Craig Huby's ball and Jamie Ellis kicked the conversion to level. Tigers had another opportunity moments later when Ellis's kick was snuffed out by Menzies with Tansey closing in, and Catalans made the hosts pay after Louis Anderson took in a dubious looking pass to touch down seconds before the hooter. Despite spending much of the first period under the cosh, Castleford were inspired in the second half by captain Shenton to drag themselves in front. The former Saints centre ran in after a break from Grant Millington to cut the deficit to two, and went ahead when Kirk Dixon profited from Weller Hauraki's 40-yard break to go ahead. Damien Blanch squeezed in at the corner to level before Bosc missed the conversion, and both sides popped over drop goals from Bosc and O'Brien to ramp up the tension, but neither side could find the mark again in the closing stage. "You should be allowed the luxury of interviewing not only the coaches, but a player here now - which would be brilliant - and maybe even an official because I'm not allowed to ask questions. "I reckon that would be great if you guys could ask some questions because I'm not allowed. "I couldn't be any more proud of my players. They're training hard and they're playing hard and they're working really hard for each other. They're a joy to coach." "I think I am between satisfaction and disappointment. We should win the game in the first 40 minutes and we could lose the game in the last 10 minutes. "I'm disappointed with the first half we put on because we created enough opportunities to have a better score on the scoreboard, but at the end of the day we didn't manage to defend well enough against Castleford. "It's one point and it's more than nothing." 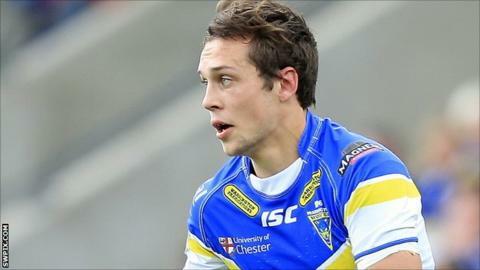 Castleford: Tansey; Carney, Shenton, Webster, Dixon; O'Brien, Ellis; Walker, Clark, Mason, Gilmour, Hauraki, Millington. Replacements: Huby, Massey, Holmes, Thompson. Catalan Dragons: Millard; Blanch, Menzies, Duport, Pala; Pryce, Bosc, Fakir, Henderson, Casty, Taia, Anderson, Baitieri. Replacements: Elima, Mounis, Pelissier, Simon.